Organizations that enjoy the great outdoors while living in the heart of the city. The Archery Club is a group dedicated to the art of the bow: recurves, compound, or even other bows used throughout history. The Archery Club is a student-run group that allows students to take a break from campus life to go and practices their marksmanship. The MSOE Freediving Club will help aspiring freedivers learn, develop, and refine the skills associated with freediving in an environment that is both safe and welcoming. Freediving is a form of divingwhich relies on breath holding rather than oxygen supplying equipment. Because of this, freediving is more fast paced than conventional forms of diving, with a typical dive lasting for around a minute.Though it is fast paced, freediving is naturally relaxing with the focus of exploring the underwater world. The MSOE Fishing Team strives to get students involved in fishing both casually and competitively, uniting men and women through the common bond of fishing. MSOE Roundnet Club creates organized play of Spikeball on the MSOE campus. The events sponsored by Roundnet Club will create casual and competitive play, and host tournaments on-campus. The goals of Roundnet Club are to publicize the game of Spikeball on campus, teach new players the game, and inspire players of every skill level to improve. The MSOE Running Club is a recreational running club on campus that students can show up at their convenience and run different distances at different paces. The running club promotes healthy living through recreational group running. This team is a club sport for cheer-leading used to introduce the sport to students. The MSOE Disc Golf Club is a campus organization that is dedicated to bringing together the disc golfing community to share the experience, knowledge, and enjoyment of the game. A place where people can either leisurely learn martial arts or rise through the belt ranks towards black belt and possibly compete at tournaments in forms, breaking, weapons, or sparring. This club teaches interested students the fundamentals of fencing in a safe environment, strives to uphold the honorable traditions of foil, epee, sabre, and rapier bouts, creates an environment where members can use fencing as a means of individual athletic growth and intellectual growth, and works to increase the visibility of, and access to, the sport of fencing among the MSOE community. MSOE Unicycle Club is for anyone interested in unicycling or learning how to unicycle. Our mission is to increase public knowledge of unicycling and how awesome it is. We will teach people to ride a unicycle and have a place where fellow unicycle riders can get together to ride. The MSOE Xtreme Club is dedicated to action sports such as snowboarding, skiing, mountain biking, and rock climbing. From snowboarding trips to Blackjack Mountain in Upper Michigan to mountain biking trips around the city of Milwaukee, we have everything to fulfill your adrenaline needs! Come see us at the first Org fair every school year to sign up for the mailing list and keep in touch with our events! Invest in your future. Apply now to MSOE! 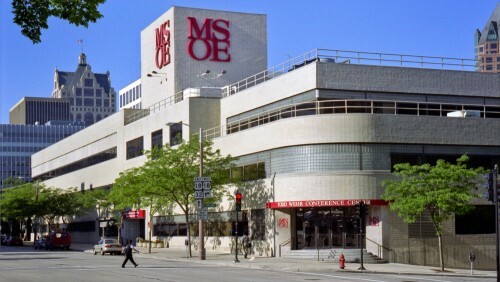 The best way to learn more about MSOE is to visit the campus in person. MSOE is accredited by the Higher Learning Commission (800) 621-7440, (www.ncahlc.org). Additional program accreditation includes the Engineering Accreditation Commission of ABET, http://www.abet.org, American Council for Construction Education (ACCE), and Commission on Collegiate Nursing Education (CCNE) and Commission on Accreditation of Allied Health Education Programs (CAAHEP).